At Musicology, we don't make rock stars, we make musicians. 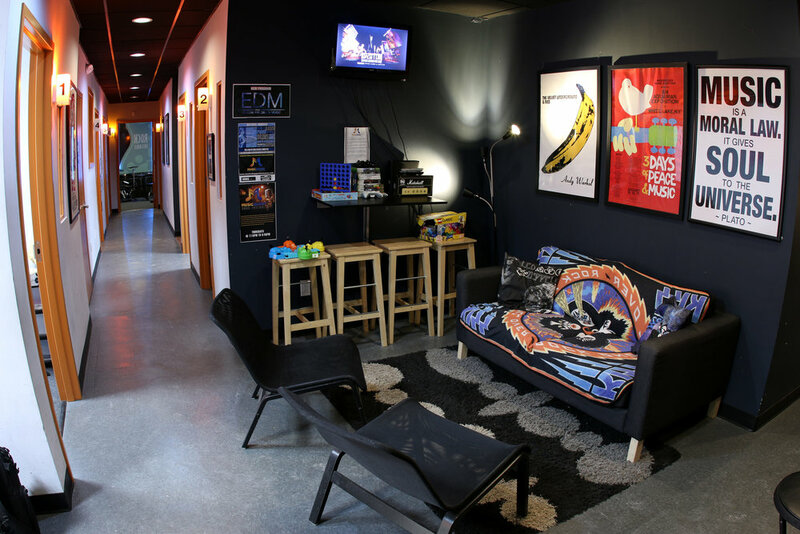 Musicology Performance Center's guiding principles are focused on providing students with both the expert music lessons geared towards creating proficiency and excellence on a musical instrument/voice as well as a fun, band based, learning environment which develops confidence, social interaction skills and performance capabilities. In short, we don't make rock stars, we make musicians. This school and the staff are fantastic.... All the instructors are super talented, friendly and go over and beyond for their students. Pat Castania has extensive experience in running an after school music program. He was the general manager and music director for 6 years at a national music program. Patrick is a studio musician who has graduated from Queens College with a masters degree in music education. He also has a background in recording and engineering. It is with his experience that he creates an amazing music program for all ages. Chris Schmidt is a Ward Melville graduate and 2nd year music major whose academic accolades include playing in the Ward Melville Honors Jazz program. In August of 2016, Chris was signed by the Omnipop Talent Agency. When not teaching at Musicology, you can find Chris touring the North East with his band Nicolls Road. Chris's music can be heard on iTunes, Spotify and Apple Music. Born and raised in NY, Ariel began studying drums with a private instructor at age 6. She learned and practiced 24/7, and it became apparent to everyone around her that she possessed a rare passion and drive to make her mark as a professional drummer. Ariel was awarded multiple music scholarships from Hofstra University and it was at this time that she began studying under drum greats Frank Bellucci and Al Miller. Ariel has toured the U.S. numerous times, sharing the stage with acts such as Motley Crue, Lil Wayne, Bruno Mars, as well as playing drums on tour with the Plain White T's and with American Idol’s Season 7 winner, David Cook. 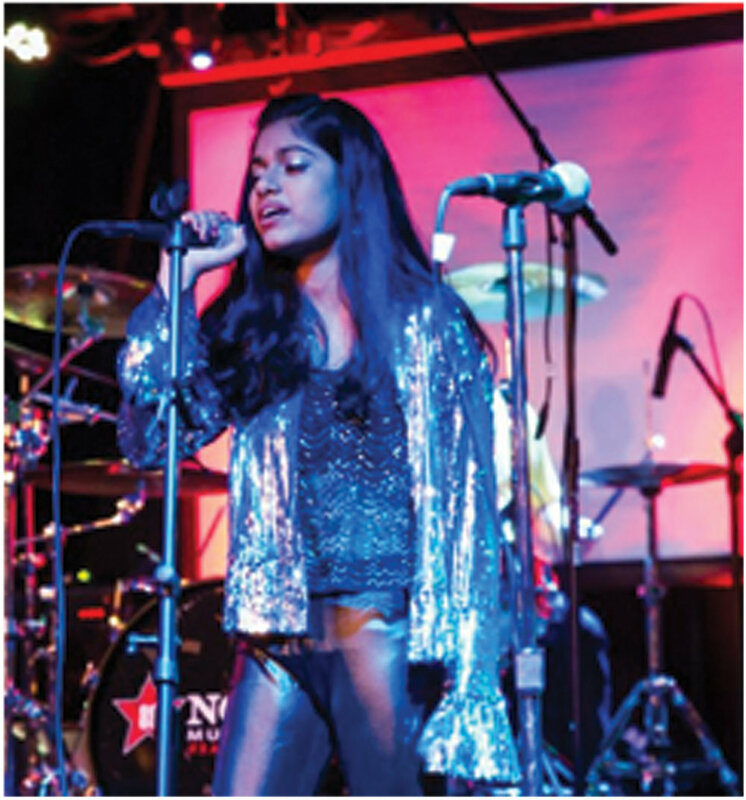 Ariel has played nearly every state in the US and at notable venues such as The House of Blues, Giants Stadium, Staples Center, Brooklyn Bowl, and Bowery Ballroom. In 2009, Ariel began her partnership with Zildjian, earning a spot on the Zildjian endorsed artist roster for sticks and cymbals. She is also a member of the songwriting team the Young Kings, and her songs have been featured in television shows such as Desperate Housewives, Rich Kids of Beverly Hills, and WWE Raw. Ariel is an extremely patient teacher that can teach any genre of music her students would like to pursue, and she is also a NYSMAA certified instructor. Matt is a New York based singer/songwriter/pianist. His passion for music began at just 10 years old when he and his brother started to write songs together. It wasn't long before they formed a band and were playing shows heavily throughout Long Island. In high school, Matt spent his weekends playing shows throughout the tri-state area, performing in front of thousands of people across the country. When he wasn't touring, Matt studied audio engineering at Five Towns College and began his position as assistant engineer at Josh Silverberg's (EMI) Red Red Studios. In 2011, Matt was selected to participate in the Reverbnation Song Licensing Program in which his songs were added to the APM Music Library. Most recently, one of Matt’s songs was chosen to appear as a featured song in an international campaign for Red Bull. Matt is also a published songwriter and has works registered in the SONY/ATV music catalogue for licensing contention in film and television. He is also a member of the songwriting team the Young Kings, and his songs have been featured in television shows such as Desperate Housewives, Rich Kids of Beverly Hills, and WWE Raw. Matt specializes in teaching Top 40, but was actually classically trained in opera and can teach anything from Classical to RnB to Hip Hop to Classic Rock. Anthony Paralikas has been playing guitar for eleven years and teaching for five. He has studied at the Berklee College of Music in 2008, and is a former student of Chris Broderick (Megadeth). Anthony is well versed in many genres of music such as rock, pop, metal, folk, and funk. He has extensive live performance experience, from playing lead guitar for high school musicals to performing in several local bands at venues such as Webster Hall, The Knitting Factory, and The Crazy Donkey. In 2013, Anthony and two friends won a nationwide battle-of-the-bands and performed at the Kappa Sigma Grand Conclave in the Margaritaville Casino in Las Vegas. Anthony plays 6, 7, and 8 string guitars, and is experienced with many different techniques, such as finger picking, lead guitar playing, and modern techniques such as thumping and 8 finger tapping. Anthony also plays bass guitar and piano. Steve Archdeacon is a singer/songwriter, guitarist, independent recording artist, and performing musician in the vein of Dave Matthews meets Clapton & Hendrix from Medford, NY. He has traveled to England to play at The Cavern, where the Beatles became famous, as well as VA, TN, NC, LA, VT, DE, among many other places. In April of 2016 he got the opportunity to sing the National Anthem at MetLife Stadium, in front of about 50,000 people, for Monster Jam. Here’s the video: www.youtube.com/watch?v=XtZLPh91qFw He is a member of Songsalive!, which is the largest songwriting community around the world that supports and promotes original music, named him the 2018 Songsalive! Songwriter of the Year. Through Songsalive! he has also had a picture placed on the front cover of the Indie Bible 9th, 12th, 13th, and 14th Editions, which is a publication that comes out once a year dedicated to helping independent musicians. His MAIN passion in life is music, but he is also a professional videographer & photographer too (www.oncuevideosite.com). He strongly believes that if we all help each other out in life you really can’t go wrong because we will all benefit in the long run. He enjoys motivating others to do their very best in life as you only get back what you put in. He hopes to bring people together with his music and really make a positive impact on people's lives through his music. Johnnie J Luca was born into a musical family and plays multiple instruments includING drums, guitar, bass, piano, trumpet and vocals. When he's from instructing, Johnnie spends his time performing in working groups such as Funkin' A (bass), Nicolls Road (drums, MC), Storytellers (drums, percussion), and Deal (bass), as well as hosting a music event every Wednesday evening at the Velvet Lounge in East Setauket. His influences include Frank Zappa, The Beatles, Jimi Hendrix, Foo Fighters, Metallica, Snarky Puppy. Johnnie has also had the privilege of being able to work with music industry veterans like King Crimson members Adrian Belew, Tony Levin, and Pat Mastelotto. He is also recording, engineering, and producing his first solo album which is set to be released by the end of 2017. Kunal (or KL for short) plays the 4 major saxophones in jazz combos, big bands, classical ensembles, free jazz, and world music ensembles all over Long Island and New York City. He has been teaching since 2001 and has enjoyed being on tour a number of times in several countries, and has traveled to 4 continents. He also performs on piano and various keyboard/organs as well as flute, clarinet, and sometimes bass, and guitar. Teaching is a passion of his, and he finds it to be the most rewarding thing he can do. Kunal is also a composer and has completed the soundtrack for the graphic novel City of Walls called Echoes of Kowloon. He has arranged music from Bach, Debussy, Holst, Vaughan Williams, and more for several ensembles. His biggest influences are Wayne Shorter, Miles Davis, Freddie Mercury, Slash, Axl Rose, Debussy, Vivaldi, Art Blakey, John Coltrane, Steve Vai, Ray Charles, Stevie Wonder, and Symphony X, to name a few. He leads the jazz/Latin Jazz band Kunal Singh & The Jazz Experience, and also his progressive jazz metal fusion band, Iron Soul. 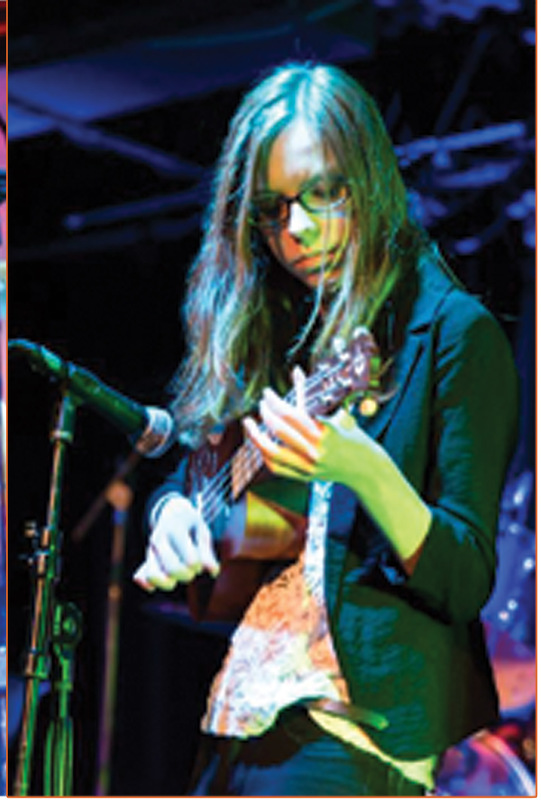 Caroline Latman is a recent graduate of SUNY Fredonia's School of Music, where she completed a duel major in Music Education and Viola Performance. While at Fredonia, Caroline was an active member of the College Symphony Orchestra, Chamber Orchestra, Opera Pit Orchestra, countless chamber ensembles, and also put on two solo recitals. Caroline has been primarily studying viola for fifteen years and has also been extensively trained in violin, cello, bass, and piano. She has experience teaching children from the ages of five to twenty. Caroline is excited to continue her teaching career as she pursues a master's degree in Viola Performance. Sean G. Dolan is a Juilliard Trained Percussionist and Master's Graduate that is continually mistaken for a Juilliard trained vocalist. His Sting-like vocal style and wide baritone to high-tenor range constantly seem to overshadow his percussive abilities. This may seem like a problem. Quite the contrary; Singing drummers are not a dime-a-dozen. Since starting his musical career at the age of 13 with his family band Shannon Breeze, Sean has recorded vocal jingles for the likes of P.C. Richard, Lighthouse Insurance, Wise Eyes, Ace Tool and Dreamland Amusements, among others. He has performed and recorded, both vocally and percussively, with enumerable artists including: Mark Wood (Trans-Siberian Orchestra String Leader), Laura Kaye, Ellie Lawson, Lauren Kennedy, and members of the Tony Award Winning Broadway Show RENT. Sean's show experience also includes subbing the drum chair at RENT and playing drums and percussion for the premier run and original cast recording of I Love You Because, The Musical. Sean is currently an active Local 802 AFM Union Member and performs regularly with the Kenny Ford Band under Hank Lane Productions in NYC as well as with his own cover band Rockjunky. Currently, Sean leads bands and teaches drums, percussion and vocals. Musicology is also a proud partner of NAMM, and our Musicology Allstars participate in the annual winter convention every year. Having the right friends makes all the difference in life. 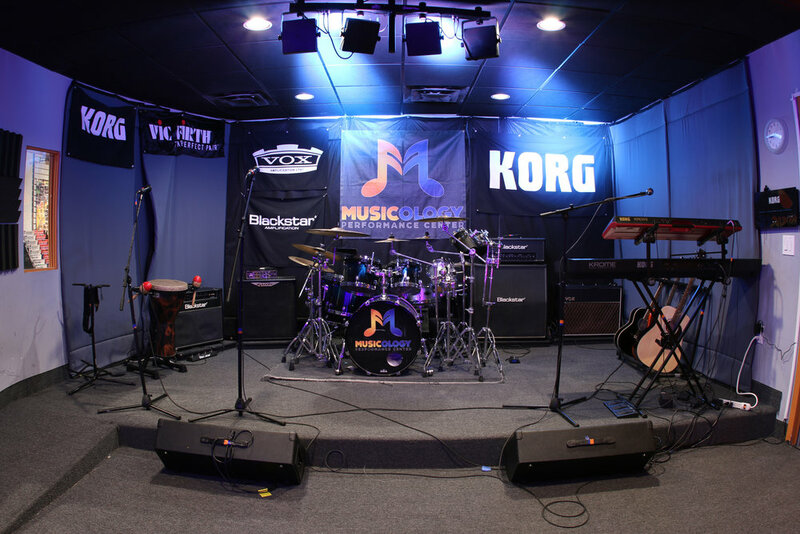 Musicology is proud to have a close marketing relationship with Korg USA, the premier manufacturer and distributor of amazing music gear. All of the rehearsal and practice rooms have brand new instruments and equipment from Korg USA including . Blackstar and Vox Amps, Korg pianos and keyboards, Sekae Drums. We take pride in featuring these top of the line instruments, it’s the gear that professionals use and it’s all over Musicology. If you are looking for a great rehearsal space Musicology Performance has two fully equipped rehearsal studios for to choose from, The rooms have full PA, Korg Keyboards, Vox, Blackstar and Ashdown amplifiers and a full drum kit at your disposal. All at an incredibly reasonable price, $20 per hour.